Beat Brasserie was already a popular spot in Harvard Square, known for its live jazz music and drinks, accompanied by some great food. 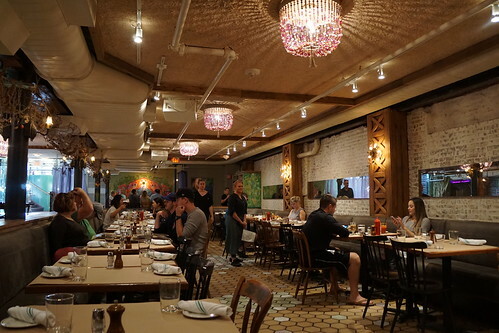 But recently, Beat Brasserie also opened its doors for lunch on weekdays, adding another great option for nearby workers and students to grab a bite during the day. The restaurant is much quieter during weekday lunches than during live jazz sessions, of course, which means it would be good for a working lunch as well. 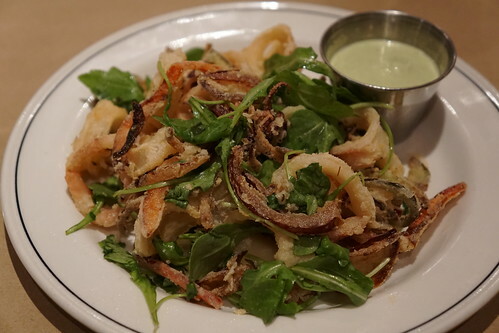 Instead of the traditional heavy calamari plate, I liked that this was more like a salad. For lunch entrees they have some overlap with the dinner menu, like the bowls and burgers, but they also have a quiche of the day, tuna nicoise salad, and others. The day I dined there for lunch, they had a rabbit pasta on the menu. 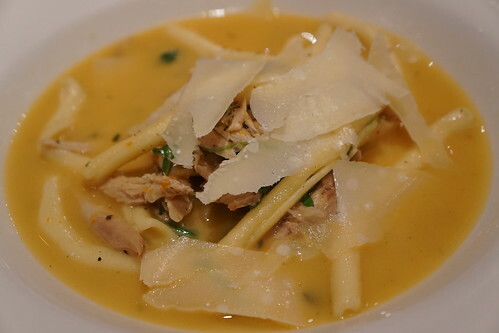 The pasta was delicious and it was a good lighter option for lunch as well.